The development of heat-resistant 9–12%Cr steels was strongly motivated by two major events: the development of thermal power stations operating at steam temperatures ranging from 538°C to 566°C, and the development of low-pollution power stations operating at steam admission temperatures of 600–650°C and supercritical pressures up to 350 bar. An overview of the historical development of heat-resistant ferritic-martensitic 9-12% Cr steels from the 1950s to the 1980s is given in this article. The development of 9–12% chromium steels is reported to have originated in 1912 with the manufacture of a 12% Cr 2–5% Mo steel for steam turbine blades by Krupp and Mannesmann in Germany. However, in 1912–13 Brearley in the U.K., while attempting to develop high-temperature steels for gun barrels, accidentally discovered that martensitic steels containing 13% Cr and 0.2% C did not rust; the stainless characteristics of high-chromium steels were also recognized by Haynes in the USA and by Strauss and Maurer in Germany at about the same time. 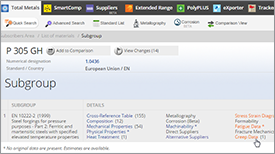 The high-chromium, high-carbon martensitic steels were hard and had a sharp cutting edge and were subsequently developed commercially for applications such as cutlery knives and tableware in competition with austenitic stainless steels as well as for razors, scalpel blades, and heat-resisting tools and bearings. The 9 and 12% Cr transformable steels with lower carbon (0.1% max) contents and additions of Mo, W, V, Nb, N and other elements, possessing higher creep-rupture strengths combined with good oxidation and corrosion resistance at elevated temperatures, have subsequently been developed. 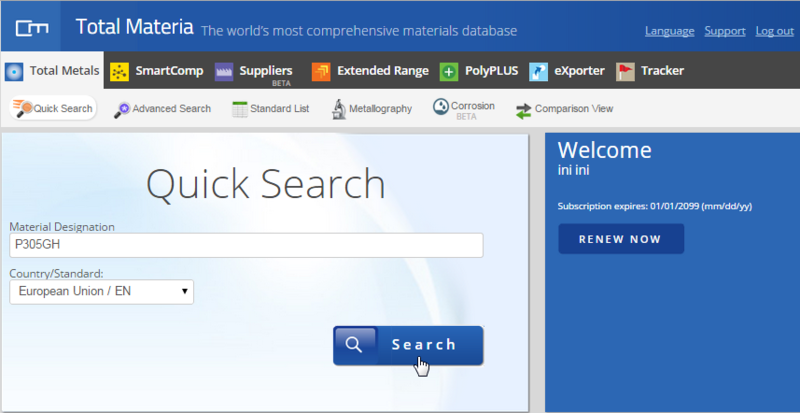 These steels have been used or considered for use in petrochemical and chemical plants, gas turbine engineering, aircraft and aerospace industries, electrical power plants, and as nuclear fission and fusion reactor components. The petrochemical and chemical processing industries utilize the steels in the form of thin tubular products in hydrogen desulfurization systems and in plants for the combustion of oil and the containment of various chemical products. The 9Cr-1Mo (T9) type of steel, possessing fairly moderate creep-rupture strength, was initially developed in the 1930s for such applications. However, the introduction of gas turbine engines of the jet and prop-jet types for powering military and civil aircraft during and in the years immediately following the Second World War, and subsequently in land-based, marine, and aerospace power installations, led to the requirement for steels possessing good corrosion resistance and superior mechanical properties at high temperatures. The development of heat-resistant 9–12%Cr steels was strongly motivated by two major events. During the 1950s it was the development of thermal power stations for public power supply, operating at steam temperatures ranging from 538°C to 566°C and during the 1980s the target was set to develop low-pollution power stations operating at steam admission temperatures of 600–650°C and supercritical pressures up to 350 bar. An overview of the historical development of heat-resistant ferritic-martensitic 9-12%Cr steels from the 1950s to the 1990s is given in the upper part of Figure 1. 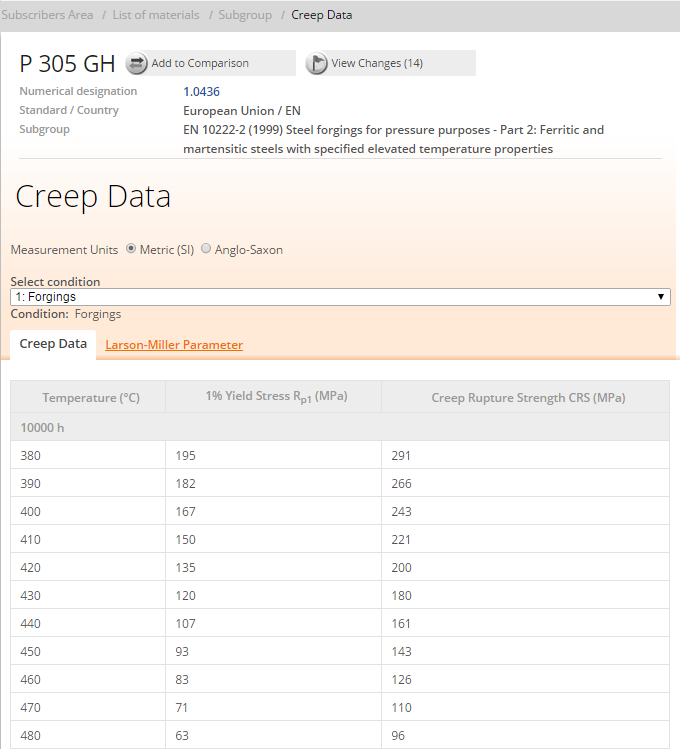 The lower part shows recent values of the 100,000 h creep rupture strength at 600°C, extrapolated from long-term test data. The steel X22CrMoV12-1 was developed in the 1950s for thin-walled and thick-walled power station components. Its creep strength is based on solution hardening and on the precipitation of M23C6 carbides. The steel has been applied successfully in power stations over several decades. The steels H46, FV448 and 56T5 (nos. 2 and 3 in Figure 1) exhibit additional alloying of 0.30–0.45% Nb and roughly 0.05 N. The targeted increase in strength is obtained by secondary MX precipitations of the type VN and Nb (C, N). 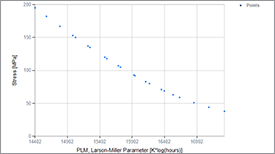 However, a distinct improvement in creep strength at 600°C, which is of primary interest for components for the aviation industry, is only obtainable in the short-term range. In view of the high Nb-content, these steel grades are only suitable for the manufacture of small-size components because the relatively high Nb-content results in pronounced segregations in ingots used in manufacturing thick-walled components. TAF steel (no. 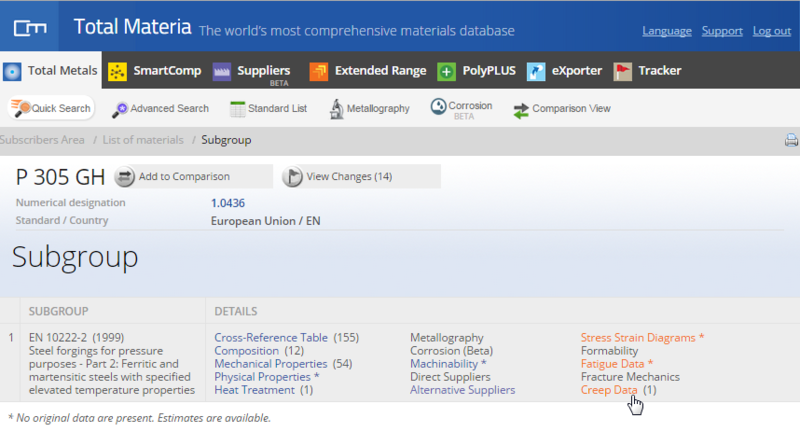 4) developed in Japan by Fujita for small components is an onward development of European Nb-containing steels (no. 2: H46 and FV 448). 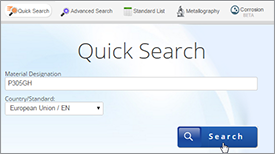 In addition to an improved balance of the alloying elements –based on a very extensive investigation of the influence of all alloying elements on the creep strength– it also features a high boron contents up to 0.040%, which permits the steel only to be used for small components. According to Fujita’s investigations, boron stabilizes the M23C6 carbides by forming M23(C,B)6. At the end of 1999, Fujita gave a report on the actual results of creep tests on specimens of this steel which were carried out at 550°C up to about 70,000 h, at 600°C up to about 20,000 h and at 650°C up to about 125,000 h (Figure 2). 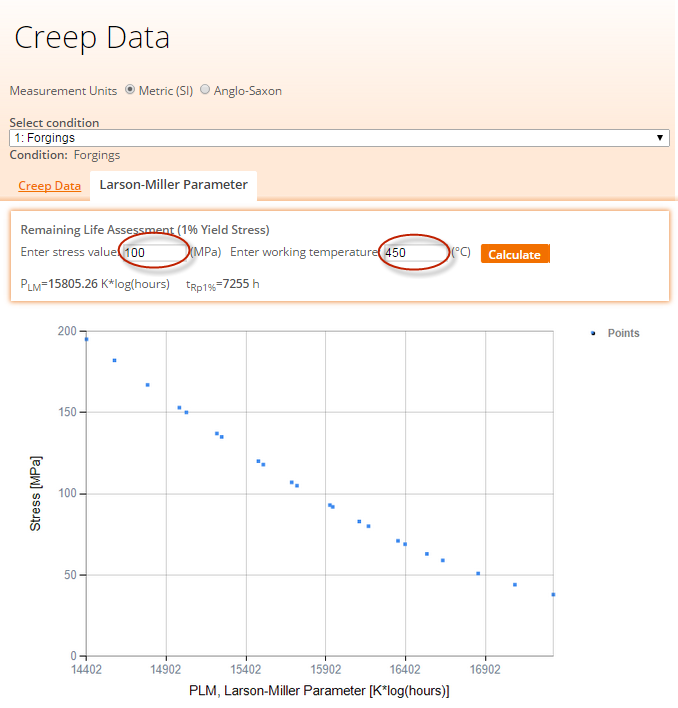 The results show that this steel has an extremely high creep strength. Furthermore, they demonstrate the creep strength potentials of ferritic-martensitic 9-11% Cr steels subjected to optimum alloying. 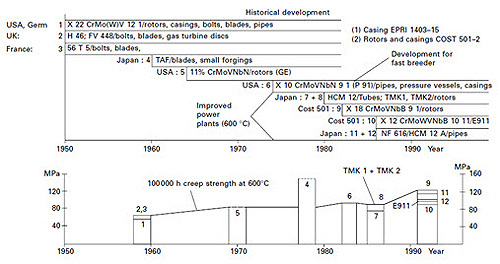 Figure 1: Overview of the historical development of heat-resistant 9–12% Cr steels within the time range 1950–1995 and the 100,000 h creep rupture strength of these steels at 600°C. The rotor steel 11%CrMoVNbN (no. 5), patented in 1964 by the General Electric Company, USA, is also an onward development of the Nb alloyed steels no. 2. In particular, the Nb content was greatly reduced (0.08%) in order to prevent harmful segregation at the centre of a rotor. Furthermore, the alloying elements were balanced in order to avoid the formation of delta ferrite. 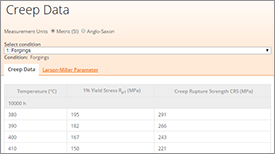 The published creep strength of about 85–90 MPa for 600°C and 100,000 h was extrapolated on the basis of tests at 620°C up to times of 16,195 h duration. 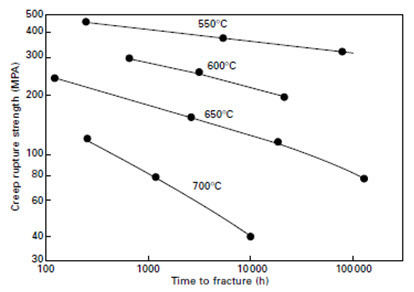 Figure 2: Creep rupture of the TAF steel (0.18%C-10.5%Cr-1.5%Mo-0.2%V-0.15Nb-0.035%B) as a function of temperature and time to fracture.